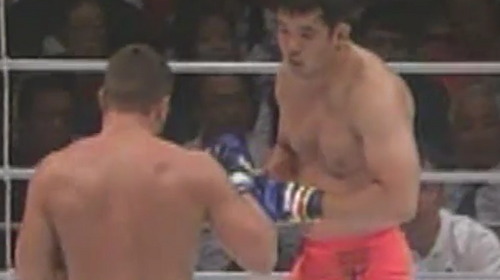 PRIDE 7 delivered a memorable event with action from fan-favorites Kazushi Sakuraba, Enson Inoue, Nobuhiko Takada, a highly-anticipated collision between forces Mark Kerr and Igor Vovchanchyn, and the PRIDE debut of Wanderlei “The Axe-Murderer” Silva. 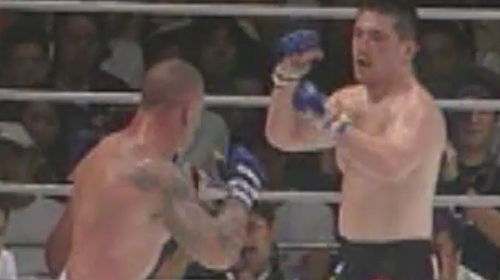 Igor Vovchanchyn vs. Mark Kerr PRIDE 7 Sun, Sep 12, 1999 (20:09) Power grappler vs. heavy-handed striker as undefeated 2x UFC tournament winner Mark “The Smashing Machine” Kerr who was 4-0 in the PRIDE ring took on kickboxing knockout artist Igor “Ice Cold” Vovchanchyn riding his absurd 32 fight win streak. 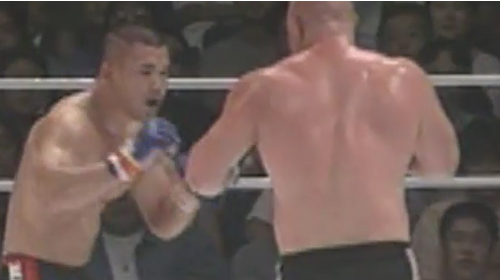 Kazushi Sakuraba vs. Anthony Macias PRIDE 7 Sun, Sep 12, 1999 (18:05) Catch-wrestler Kazushi Sakuraba was, officially, on a hot streak with five wins, four submissions, and 0 losses in PRIDE or the UFC. Up next, “Saku” took to the ring to take on the aggressive attacker Anthony “Mad Dog” Macias, who had a 15-5 pro record. Akira Shoji vs. Larry Parker PRIDE 7 Sun, Sep 12, 1999 (33:13) Improving his PRIDE record to 3-1-3 with a split-decision win, Akira Shoji who was beloved by the Japanese fans was making his 7th consecutive trip to the promotion’s ring against American newcomer Larry ‘The Violator” Parker with his 10-3-1 MMA record. Maurice Smith vs. Branko Cikatic PRIDE 7 Sun, Sep 12, 1999 (11:00) A very interesting PRIDE debut match-up, former UFC heavyweight champ & K-1 kickboxer Maurice Smith would test his veteran striking skills against former K-1 World Grand Prix Champion “The Croatian Tiger” Branko Cikatic. Wanderlei Silva vs. Carl Malenko PRIDE 7 Sun, Sep 12, 1999 (26:22) In his PRIDE debut, Brazilian Muay Thai striker Wanderlei “The Axe-Murderer” Silva was riding a three fight win streak and owned all nine of his career wins by KO/TKO was set to face professional wrestler Carl Malenko who won his PRIDE entrance by decision. Daijiro Matsui vs. Bob Schrijber PRIDE 7 Sun, Sep 12, 1999 (16:55) You won’t see many fights end like this one as Takada Dojo trained catch-wrestler Daijiro “The Japanese Tank” Matsui took to the PRIDE ring for the second time to face Dutch kickboxer “Dirty” Bob Schrijber who was riding a three fight win streak all by KO/TKO.